There is an attitude floating around out there that a mom who can’t do it alone is failing as a parent. It’s ridiculous, of course, but that doesn’t change the fact that it happens all the time. 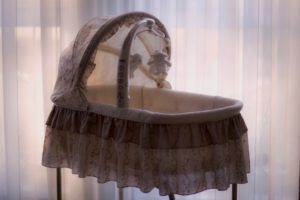 A new mom will fear reaching out for help because she’s worried that she’ll be judged for it, as if she isn’t making a sufficient sacrifice at the altar of motherhood. “You wanted the kids, now you’re complaining that it’s hard work?” is the judgment statement mom is trying to avoid. To add to the muddle, so many first time moms set impossibly high standards for themselves and when things go off the rails, they feel they have failed. I had a friend whose idea of being a good mom meant breastfeeding for at least a year, skipping the epidural, keeping the house perfect and stopping work for at least three years. She couldn’t, in the end, accomplish any of these things: she ended up having a c-section, lactation problems that made it impossible to breastfeed, her colicky baby meant she was sleeping whenever she could, housework ignored, and her husband lost his job so she had to go back within months of giving birth. Not surprisingly, she was pretty depressed and by the end of the first year, swore she would not have another child. She had put so much pressure on herself that the difficulties she endured were magnified by a factor of 100! Even asking a spouse for help can be difficult for a new mom. She is staying at home and feels she needs to handle everything while her spouse goes out and makes the money that ensures that she CAN stay home. It’s a vicious cycle of guilt that only spirals out of control, if it isn’t nipped in the bud. Would you ask for help in other parts of your life? If you had too many projects on your plate at work, would you tell your boss? Probably. So why is motherhood different? It’s not a ‘job’ but it is a role that you fulfill and asking for help in accomplishing it is no different from any other role. It DOES take a village. Whether you have a spouse, or family and friends, it does take a village to raise a child. And you know what? It’s better for the child if there is a village. Kids will learn that it’s okay to ask for help. Modeling the behavior you want your kids to learn is a huge parenting win. If they see you struggling to do it all as they get older, refusing to ask for help, they’ll internalize that and probably behave the same way too! Parents who refuse to let anyone care for their child except them are setting their kids up to mistrust anyone but mom. It is actually possible for Grandma or Auntie Em to take care of the kids too and they’ll come out all the better for understanding that there are others who can help them if they need it. First off, give up on the guilt. If you were meant to do it all, you’d be Wonder Woman, not Mom. There is no failure in asking for help. If anything, as I said above, you’re doing a good thing for your child by letting people into your circle to help you. Secondly, when someone offers to help, don’t shrug it off… give them a job to do! People who offer don’t always know what it is you might need. On any given day, it could range from watching the baby while you shower to doing the three days worth of dishes in the sink. Whatever it is, don’t be shy of assigning duties to people who offer! Just don’t overwhelm them or the offer won’t come twice! Third, make sure you let your spouse do some of the work. I can hear you now: “Wait, what do you mean ‘let’ them help? Of course they should help.” However, new moms with impossibly high standards will often hover while a spouse is changing a diaper or reading a book or feeding a bottle, telling them that they can’t be trusted to do it with body language. Worse still is the new mom who literally tells them how to do things, or what they’re doing is wrong because it’s not her way of doing things. But as Elsa said: LET IT GO! Your spouse won’t own their role if they’re not allowed to do it without being micromanaged. Fourth, know when to say no. Help is all well and good but when your mother-in-law won’t go home because she thinks you’re going to get it wrong and criticizes your every move, it’s time to step up and tell her that you appreciate the advice but it’s going pretty well doing things your way. Let her know that you would like a little time with the baby, alone, and set a time for another visit… next week. Better still, make your spouse tell her! Finally, if you don’t have anyone to ask for help, if family doesn’t live close by and your friends are all so busy in their own lives, it’s time to consider some professional help. Get a housekeeper to keep on top of the household chores. Or better still, hire a postpartum doula, so that you can get some rest and a shower, while knowing your baby is being cared for.